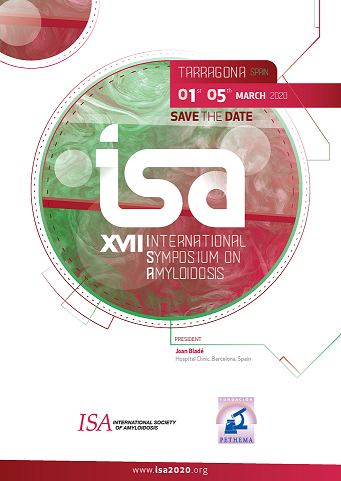 International Society of Amyloidosis (ISA), a non-profit organization of Scientists and Physicians engaged in research, teaching, or practice in connection with amyloid and amyloidosis. The aims of our Society are to promote research, education, clinical studies (including diagnosis and treatment), conferences and symposia on all aspects of amyloidosis worldwide. Watch this space for information regarding the ISA 2020 meeting in Tarragona Spain. Join the International Society of Amyloidosis and get a free AMYLOID, The Journal subscription. 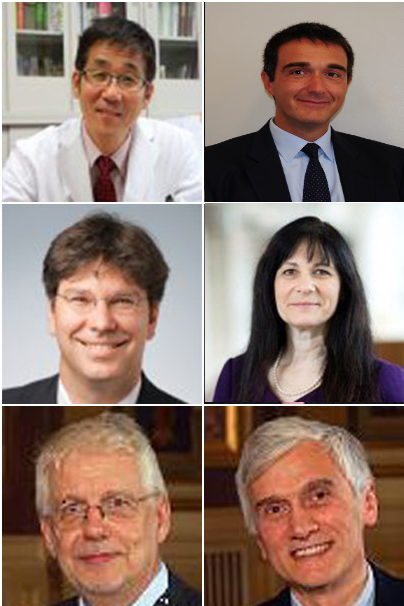 The current Board of Directors of the ISA was officially elected for the next term at the XVIth International Symposium on Amyloidosis in Kumamoto, Japan on 3/29/2018. Since 2002, the ISA has had exceptional leadership from around the world. We value their dedication and efforts that have led the organization in progressing the advancement of amyloidosis research. We have made the ISA membership application and renewal process easier! 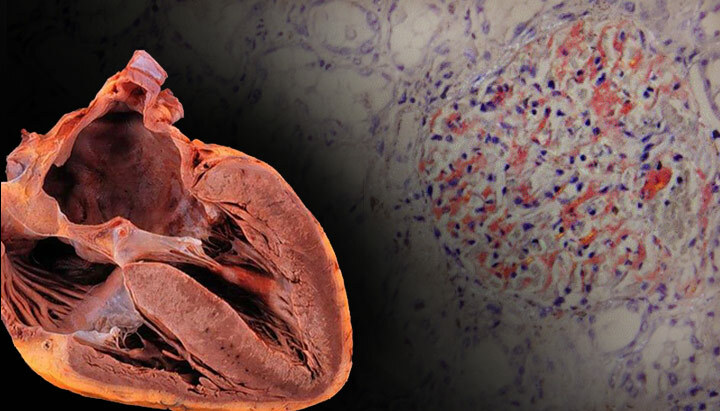 Amyloidosis: The Disease What is amyloid? Amyloid fibrils are structures in which misfolded proteins are deposited in tissue and organs. Different proteins can be deposited as amyloid in various sites of the human body. When in a piece of tissue (a so-called biopsy) these deposits are viewed under a microscope in normal light, the material looks amorphous. However, if the same deposits are viewed under an electron microscope with higher magnification, massive amounts of small non-branching amyloid fibrils can be seen. When a biopsy is stained with Congo red dye, the deposits will stain red. A characteristic feature of amyloid is that these red deposits will turn into apple green if viewed in polarized light. When amyloid deposition leads to signs and symptoms of disease it is called amyloidosis.